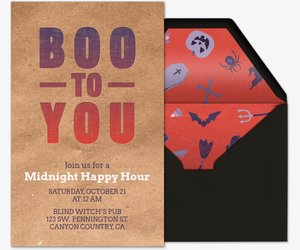 Prepare for a wicked fun time this Halloween by planning parties with free and Premium online invitations from Evite. 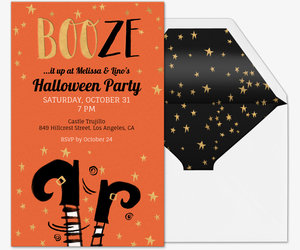 Our gallery features invitations for not just Halloween, but also Día de los Muertos, Halloween weddings, and Halloween baby showers. 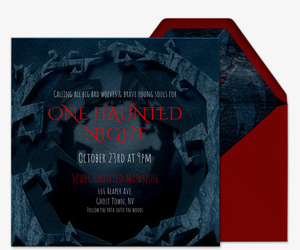 Whether you’re trick-or-treating with friends, hosting a haunted house, going to a fright fest, dressing up for a masquerade ball or costume party, or planning an adults-only rager, get in the spirit of this spooky season with our digital designs. Spending Halloween with the kids? 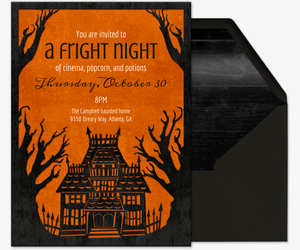 Plan all the tricks and treats with our Halloween for Kids invitations. 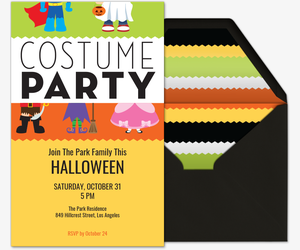 Paperless invitations keep everything in one place. Fill in event details, write a custom host message, and organize any guest contributions in a custom “What to Bring” list. You can also track RSVPs, manage your guest list, send messages, and post photos at any time, as well as post your custom invitation link on social media or send via text to reach all your friends. Personalize one of our upload-your-own templates with a favorite photo, or upload an entire design onto one of our design-your-own templates. Forget sending invitations by post. 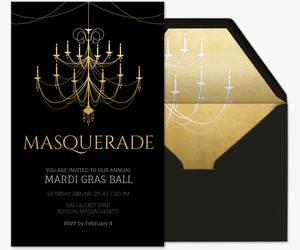 With matching envelopes and stamps, our ad-free Premium invitations offer the same look and feel as printed invitations. You can also include additional text or photo cards. Pricing is based on the size of your guest list. 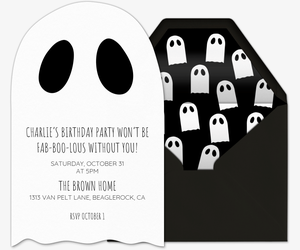 Plan all the cheers and fears with Evite Party Ideas. Get terror-ific ideas on all sorts of Halloween parties -- haunted Halloween parties, modern Halloween parties, magical Halloween parties, and more. Check out our top last-minute DIY Halloween costumes, frightfully easy DIY decorations, festive cocktails and concoctions, and mood boards for various Halloween themes. 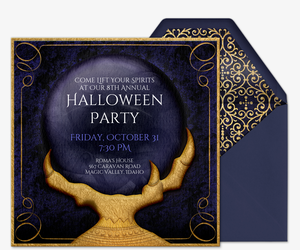 Evite has invitations for all your fall activities and more. Check out our Watch the Game invitations, Tailgating invitations, Thanksgiving invitations, Oktoberfest invitations, and Holiday party invitations. Or, gather friends for birthday parties, dinner parties, cocktail parties, baby showers, weddings, bridal showers, and more.